No matter how bad your day is, you won’t be crying into this pillow at night. For something that’ll make the worries of even the most stressful day just drift away, go with our top choice for the best pillow for back sleepers — the Conforma Memory Foam Pillow. Neither too firm or too soft, it’s the Goldilocks of great pillows: just right. Pillows are the after-thoughts of the bedroom. People will hop from one mattress to the other at the store, seeing how long they can get away with test-sleeping until employees start to get suspicious. But the same customers will briefly press their hands into a memory foam pillow for the novelty of it, and then buy whichever pillow is closest to hand. Luckily, we’ve searched out the perfect headrest for you. There are many appealing choices thanks to talented copywriters fluffing up these pillows. We waded through the romanticizing and grand promises for the top contenders that’ll finally give you a fantastic night’s sleep. But why’s a pillow so important, anyway? Well, it’s easy to associate “spine” with “back” and therefore rely on mattresses to keep things aligned. Our spines actually extend all the way into our necks, which makes our choice in pillow just as critical as our choice in mattress. The Harvard Health Letter from March of 2018 reported that less sleep means less time for muscle growth and tissue repair. Yup, blame your pillow for your achy body — you’re not that old! You just might be saying goodbye to your morning coffee after the quality of sleep you get from these pillows. This is the pillow you didn’t know you needed. It’s a perfect middle-of-the-road choice for those who don’t want something too firm or too soft. Plus, it’s naturally anti-microbial to fight allergens, mites, and mold. And it’s all covered by Classic Brands’ 3-year warranty. At just $25, this product offers the best bang for your buck when it comes to a pillow’s most important feature: support. No fancy fibers, no organic materials — but this pillow’s memory foam promises to mold itself to the exact shape you need, without getting compressed and lumpy as a result. If you hate GMOs, this is the pillow for you. The pillow’s OrganicSmart fabric cover is made from 100% organic cotton, meaning no harmful pesticides were used while farming. First, we started with a pillow’s most important offering: support. And fluffy pillow ≠ support. Well…at least not always. For a pillow that’ll actually keep your bones and joints in check, it’ll need to bring more than squishiness to the table…er, bed. So before diving into the fabrics, fibers, and other pillow embellishments, we studied each pillow’s foundations. The first pillar of a supportive pillow is its customizability. We looked at the firmness and give of these pillows: Once you rest your head, is the pillow so firm that your neck is stuck at a 90-degree angle? Does the memory foam that many pillows brag about actually sink to the perfect mattress-to-head height, or does it just absorb your head like a sponge — sending your body into an uncomfortably straight 180-degree angle? The second pillar of a supportive pillow is its fill. Pillows can be old school — we’re talking feathers and down — or they can fit the current status quo of polyester and cotton. Then there are some modern options that most of us have never heard of, like hypoallergenic shred and microbeads. Each has its pros and cons, which are largely determined by you: Are you a restless sleeper who needs maximum versatility in your pillow? Do synthetic materials make you sneeze? Or do you just want the cheapest pillow that’ll guarantee a more comfortable sleep than your decorative throw pillow has to offer? Okay, take a second to catch your breath. Yeah, we know — didn’t realize there was so much to a simple pillow, did you? Or maybe you did, you pillow aficionado. Either way, there’s always something to learn about these secret weapons for a good night’s sleep. The industry is constantly evolving. And that’s why we’ve aimed to provide the most comprehensive ranking for you. We studied the latest trends in pillow innovation and community buzz to ensure an up-to-date list. Heard of cooling technology? It’s one of the biggest trends for serious pillow shoppers. Not only does it eliminate a sweaty neck during summer nights, but it acts like an all-night cold pack for injuries and arthritis. With pillows that can reduce inflammation, you’re looking at technology (yes, in a pillow) that offers benefits well beyond a solid 8 hours of sleep. Some companies have dived even further into pillow innovation by looking at how to improve on the standard pillow fill. Memory foam is now often combined with other materials and shredded for extra customizability. Meanwhile, other companies have a focus on strict testing protocols to guarantee the highest quality and most hypoallergenic fill possible. It’s all about your priorities! Keeping all of the above in mind, we collected pillows that were already getting rave reviews from specialists and pillow authorities. From there, we examined hundreds of consumer reviews — coupled with our own expertise in this industry — to narrow it down to the final contestants. 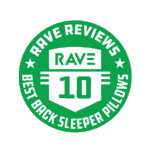 You can rest assured that each pillow in our ranking will provide a sound night’s sleep for back sleepers everywhere. This is one of the trendsetters. As mentioned earlier, cooling technology is big in the advanced sleep industry, and this pillow takes advantage of that. The memory foam is ventilated, and its cover is a knit fabric to increase airflow. Additionally, the fabric cover is made of velour — a close cousin of velvet — meaning the pillow will feel like a cloud. Classic Brands rates its pillow a medium on a comfort scale from “Extra Firm” to “Extra Plush.” So, it’s in the neutral comfort zone, ideal for those who don’t like extremes. While some may find this to be too firm for their liking, many users were pleased to discover that the firmness ended up alleviating their neck and other joint pains. For the noses that sneeze from any and every little thing, fear not. 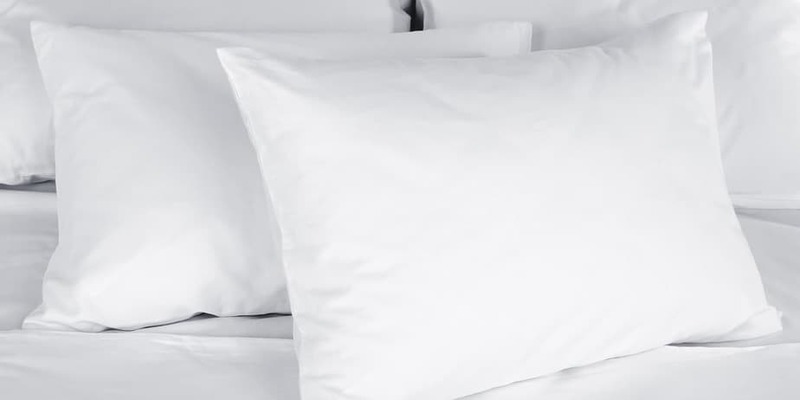 This pillow is “naturally antimicrobial” and therefore resistant to “allergens, mold, bacteria, and dust mites.” And the final bonus that clinched the top spot for the Conforma? This pillow has a 3-year warranty. This isn’t your ordinary memory foam pillow. First off, its memory foam blend is CertiPUR-US certified. That means laboratories with the right accreditation have tested it to ensure the foam follows nationwide guidelines for “content, emissions, and durability.” Coop Home Goods combines the memory foam in its pillow with “premium combed” microfiber. And it takes the “micro” in the name seriously. Microfibers are a little less than one denier in diameter, which makes it thinner than silk! This is going to feel a lot different than feathers, cotton, or run-of-the-mill memory foam. But here’s why we really gave this pillow one of the winning slots. On top of infusing the memory foam with gel for all those anti-inflammatory and cooling benefits, Coop Home Goods shredded the fill. And that’s why we’re so obsessed with this pillow. 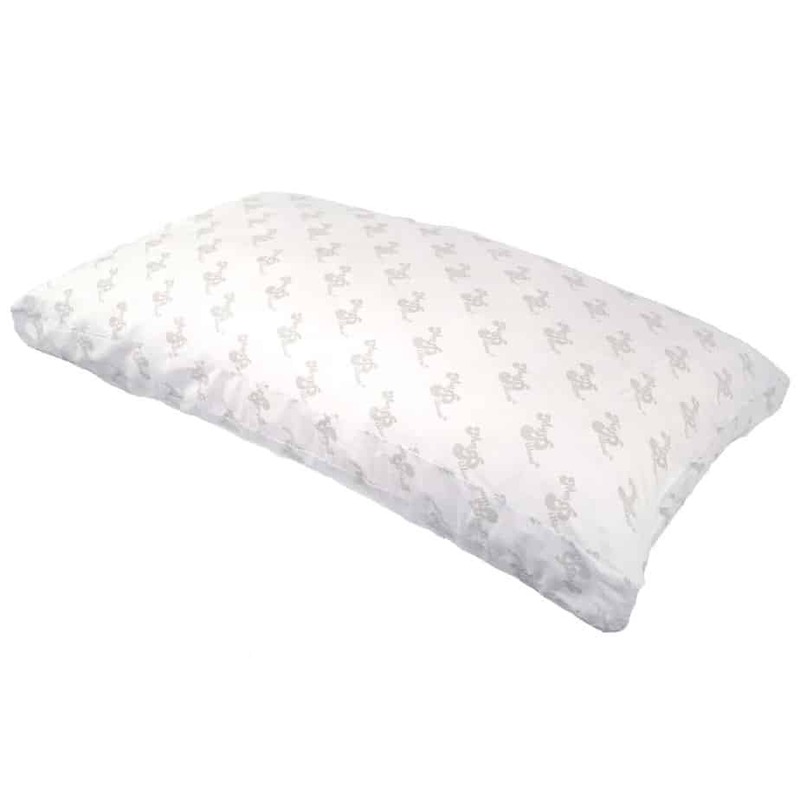 Shredded material gives you the power to fluff and de-fluff your pillow to suit your tastes. Just add or remove as much fill as you like. It’s as though the company knew this all sounded too good to be true: Coop offers a 5-year warranty on the pillow. This pillow by Snuggle-Pedic takes a unique approach to memory foam. Instead of manufacturing the foam for its pillows alone, it comes right from their line of high-end mattresses such as Tempflow and Air-Pedic. That’s right — you’re basically getting a mini mattress for your head. But it’s not just leftover fluff. Snuggle-Pedic shreds its Biogreen foam, which, according to the company, means that the pillow “will never go flat!” This Snuggle-Pedic pillow’s fabric is made from polyester and a uniquely sustainable material: bamboo viscose. 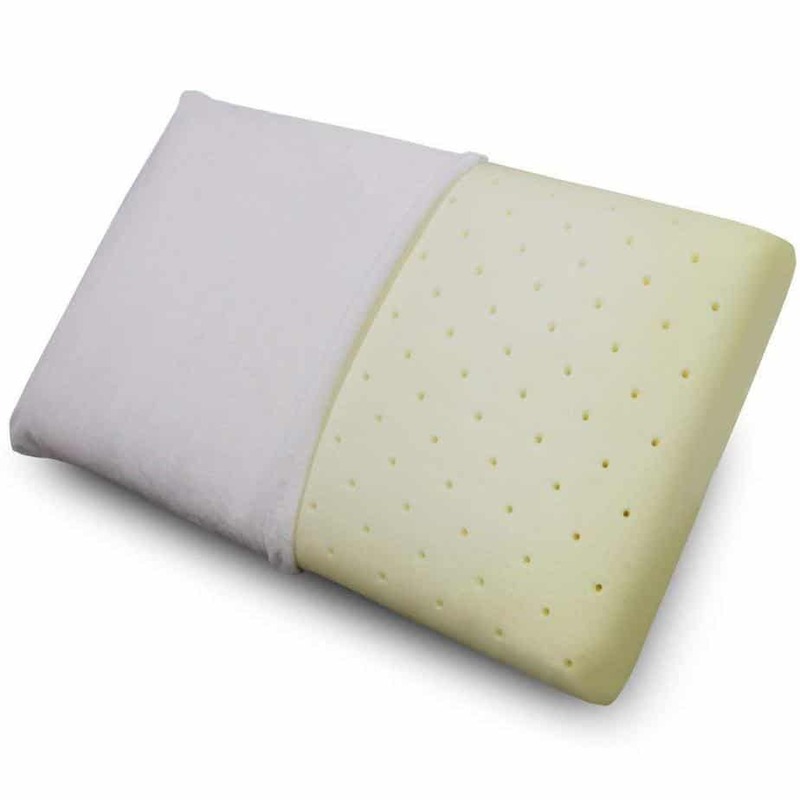 And in addition to receiving the standard CertiPUR-US certification, it’s gone through another set of testing to receive the GreenGuard stamp of approval after coming out “13 times lower than the allowable maximum requirements for certification.” Most importantly, this pillow earns its place on the list because of the outstanding support it provides. Snuggle-Pedic goes so far as to label its product “orthopedic,” suitable for any position that you sleep in. (Hey, sometimes we back sleepers like to try out laying on our side or stomach from time to time!) And you can’t beat its warranty, which is considerably longer than most of the products on this list: a whopping 20 years. This is the most unique pillow on the list. Although marketed toward pregnant women, if you’re looking for something to cuddle, this is the pillow for you. 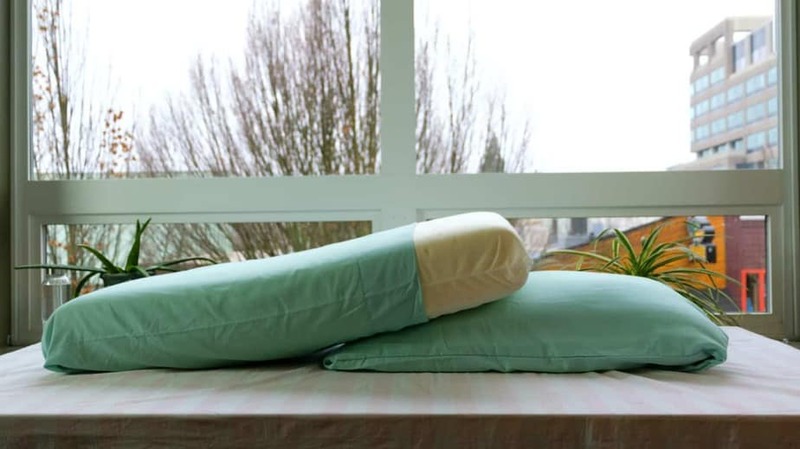 It’s not designed like a traditional pillow, or even the typical body pillow. It’s more of a really comfy noodle. Yes, this ranking was stacked with back sleepers in mind. But for those times you toss and turn, consider this Snoogle product if you want something extra soft and squishy against your tummy. This pillow’s main claim to fame is that it follows “the natural contour and shape of your body from head to toe.” Essentially, you’re getting the world’s best cuddler, without the sweat and heat. This quirky pillow is also surprisingly eco-friendly — so much so, it won our “Best Eco-Friendly” category! Purchase the pillow in the OrganicSmart option, which means you’ll receive the pillow in a “100% organic cotton fabric” cover. You’re probably wondering how cotton beats out more exotic materials like bamboo. Well, organic cotton isn’t “treated with pesticides, insecticides, herbicides, and Genetically Modified Organisms,” a HuffPost article from 2013 reported, adding that this farming method also used “far less water.” Meanwhile, bamboo is most commonly turned into a fabric via the viscose process, which requires “heavy use of chemicals and energy in processing the fiber,” according to the Natural Resources Defense Council. 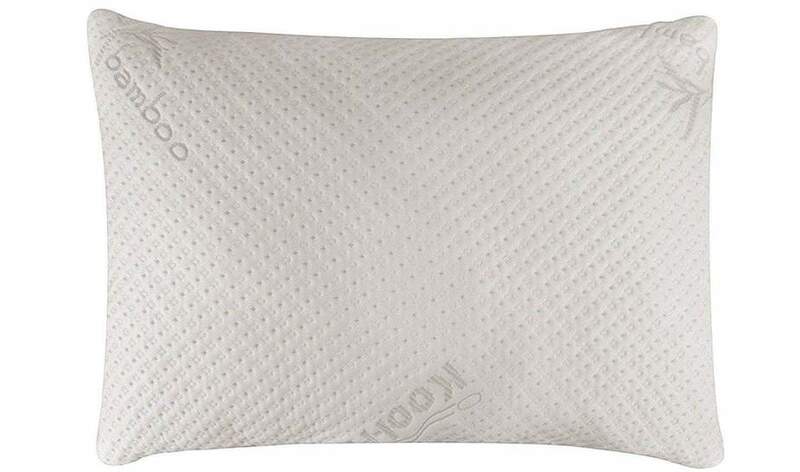 As a result, Snoogle snags the title for Best Eco-Friendly Pillow for Back Sleepers. This pillow gets the job done without frills, fancy fibers, or any frivolous add-ons. But what it does boast is an exceptionally low price tag for memory foam at just under $25. Don’t worry, that doesn’t mean the material is any less trustworthy! Although not subjected to the same tests as some of our other higher-end pillows — which is why this one was pushed further down the ranking — this Sleep Innovations product still has its memory foam manufactured in the US. What’s more, it provides a 5-year guarantee — so you’re insured! 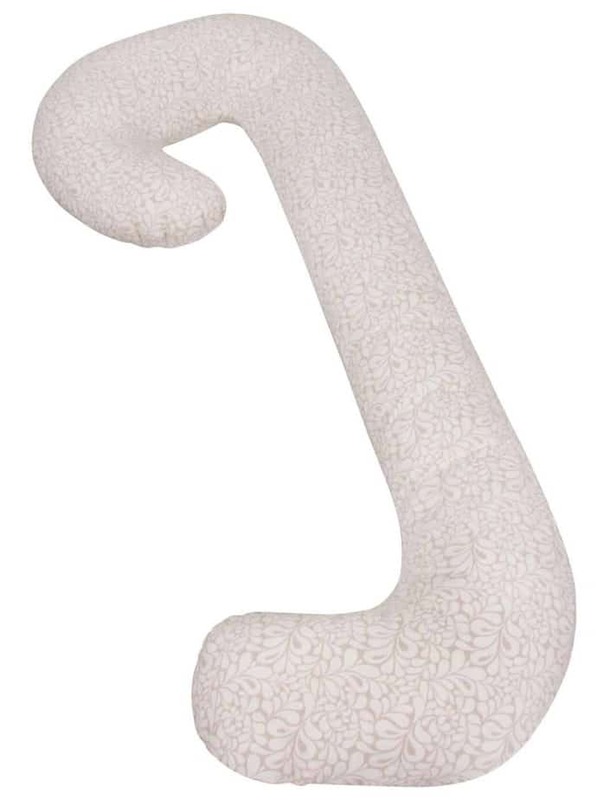 Seriously, this is a bargain for a contour pillow. Even at a low price, you still get options. With the pillow’s sloped shape, you can choose between the higher or lower contour for your neck to rest against. This is an ideal choice if you’re not fond of firmer pillows. Many users commented that the pillow was softer than anticipated — which can be good or bad depending on your preferences. For those who like having a hand in the design process, this pillow is for you. Before even purchasing the pillow, you’re given 4 options for fill: least firm, regular fill, more fill, or firm. 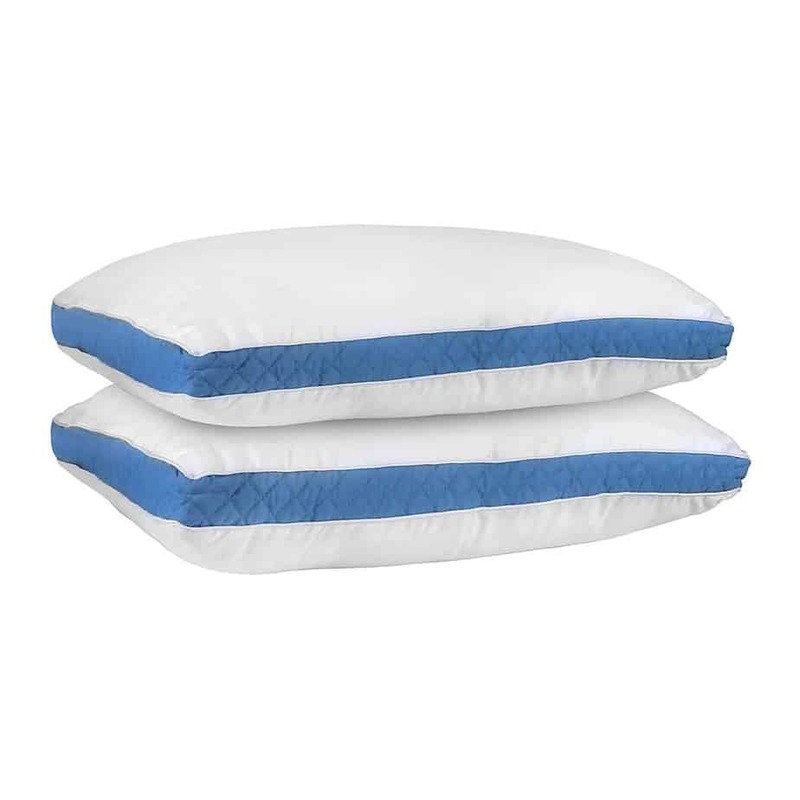 Beyond its adjustable fill, this MyPillow product also comes in 4 sizes, based on your T-shirt size! This product even put a trademark on the World’s Most Comfortable Pillow. That’s probably because it has government rights to its signature feature: its patented interlocking fill. Individualists and pillow anarchists, if you want to stray from the memory foam crowd, look no further. And you can’t beat the security this pillow provides. It has a 10-year warranty, on top of guaranteeing your money back for at least 60 days. This pillow by Sweetnight has all the goods. It has every feature a pillow should have, but upgraded. The memory foam is CertiPUR-US certified, and while 10% of it is “comfort foam,” the rest is gel memory foam. So yes, you get that cooling factor. It’s another one of those pillows that allows you to add and/or remove fill to get the loft to your ideal height. Sweetnight even provides a visual guide for doing so, recommending a medium height for back sleepers. While this pillow checks the boxes for the features you’ve seen before, it also has a noticeably high percentage of 5-star ratings on Amazon. 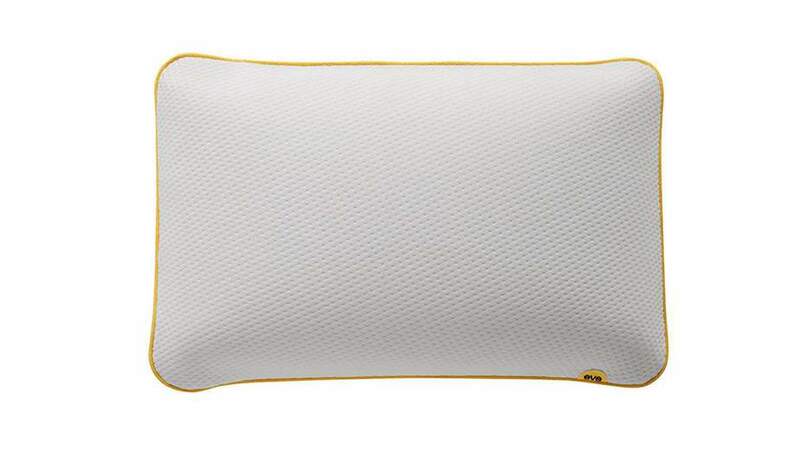 Most of the positive reviews raved over the same detail: the pillow’s extreme adjustability. While its fabric isn’t necessarily the most eco-friendly (which is why it falls to seventh place), the foam itself was made without “formaldehyde, mercury, and other heavy metals”…AKA, nothing you want near your nasal passage. It’s also hypoallergenic, and even claims to fight off pet dander! Sweetnight offers a 3-year warranty on its pillow. You might think this is just another memory foam pillow, but here are its 2 unique claims: Eve’s UltraFresh treatment, which is intended to fight off bacteria, and a jersey fabric cover. Instead of a woven fabric, jersey is knitted, which Eve claims gives it a “lovely elasticity.” True — remember the last time you wore something made of jersey? It fits around your shape better, which is good news for memory foam. And the 100% polyester cover is backed up by a “OEKO-TEX Class 1 label for safety.” As for what exactly that is, the OEKO-TEX website describes it as “a worldwide consistent, independent testing and certification system for raw, semi-finished, and finished textile products at all processing levels, as well as accessory materials used.” Basically, it’s an assurance of good manufacturing practices. But the real selling point is Eve’s willingness to cancel the sale. The company gives you 30 nights to test-drive the pillow and will give a full refund if you’re not satisfied. So really, there’s nothing to lose. Here’s another bargain from Sleep Innovations. While most cooling pillows come at a premium, this one offers cooling technology at just under $33. 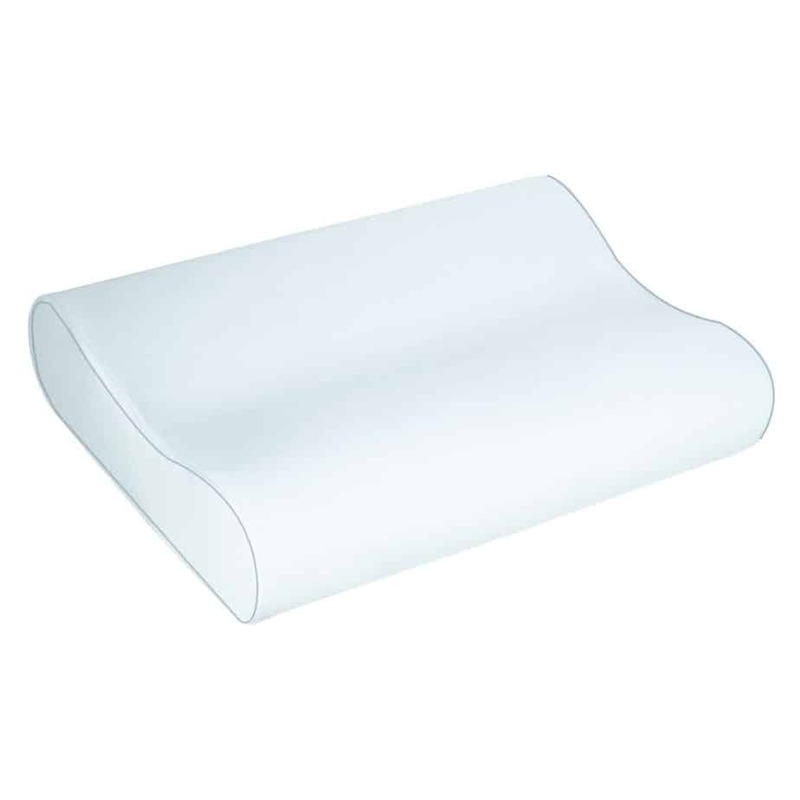 On top of the normal contour design, this pillow also adds a “layer of open cell memory foam” for extra support and more airflow. 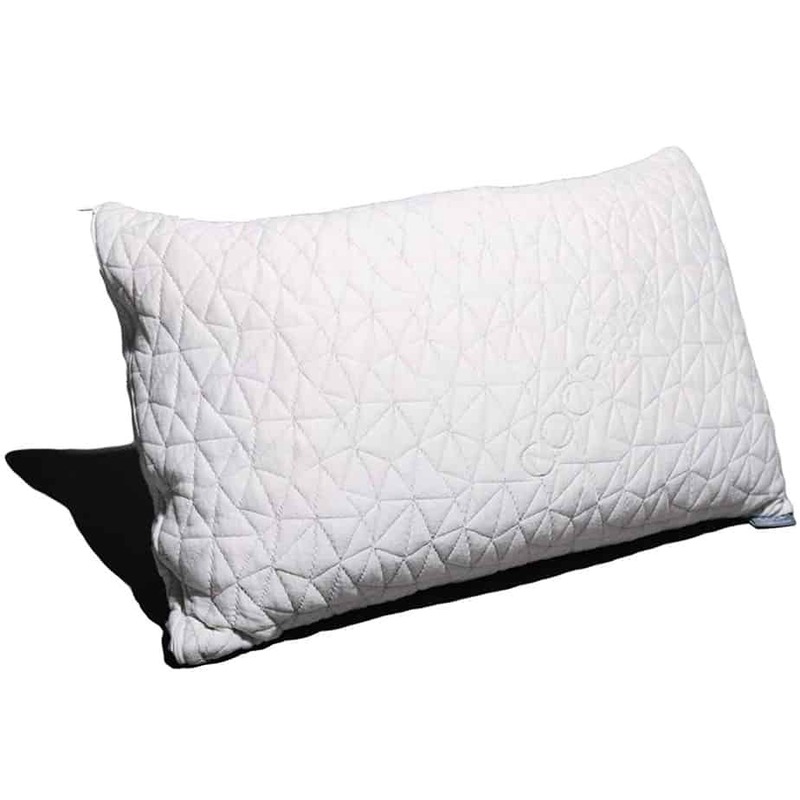 Many reviewers praised the pillow for holding its shape over the course of multiple years. Keep in mind, this pillow might not be the most “plush,” which is why it’s lower than other pillows in this ranking. What it offers instead is reliable support, especially for those with serious aches and joint pain who need something on the firmer side. The upkeep is just as low-fuss as the pillow’s price. The fabric cover is made of terry velour and can be removed to throw in the wash. Sleep Innovations offers a 5-year limited warranty on this product, which covers the defects outlined in their policy. Utopia Bedding takes its fabric very seriously. The company lists in exquisite detail what makes its fabric superior among pillows: It’s composed of 96 GSM (grams per square meter) microfiber with “double needled corded edges.” The extremely fine detail means more comfort for you. And the layer of gusseted quilt is a throwback to Grandma’s hand-sewn blankets, while still supplying the benefits of a modern pillow. The pillow arrives flat and takes 48 to 72 hours to fluff up. These professionally finished pillows with high thread count provide plush comfort as well as durability that easily resists wear and tear. This pillow drops down to tenth place because of the lack of memory foam in the design, plus the absence of a warranty. But it’s still a great value for the price, and a solid option for many back sleepers. How do pillows affect sleep? Pillows are just as important as mattresses for a peaceful night’s sleep. “If you spend $1,000 on a mattress and use a $10 pillow, you just turned your bed into a $10 mattress,” California clinical psychologist Michael Breus, whose specialty is sleep disorders, told The Washington Post in 2018. That’s how important your pillow is! “Choosing the right kind of pillow and a supportive mattress helps relax the spine and rejuvenates the body for the next day,” New York’s Atlantic Spine Center physical therapist Sridhar Yalamanchili told The Today Show in 2018. And as we mentioned earlier, aligning the spine isn’t just the job of your mattress. Our spines extend into our necks, which is why your pillow also impacts your spine health. That’s how pillows can put an end to the mysterious body aches and joint pains we often wake up with. Pillows can also alleviate discomfort in more advanced ways. A gel-infused pillow keeps you cool and prevents you from waking up overheated, while a hypoallergenic pillow keeps you from waking up with a sneeze. How should pillows be cleaned? Most companies will share if their pillows are machine washable or not. But since you’re throwing good money at a quality pillow, you’ll want to be extra careful with your investment. We’ll break down how exactly to wash each kind of pillow. Pillows with classic fills like down, feathers, and fibers are okay to throw in the laundry machine, according to Good Housekeeping Cleaning Lab. Wash 2 of these types of pillows at the same time on a gentle cycle with 2 rinses. For down and fiberfill specifically, the experts at Good Housekeeping suggest that the first rinse be warm water. Then switch to extra cold water on the spin cycle (unless the tag’s directions advise otherwise). To dry pillows with classic fills, “tumble” the pillows on low heat, fluffing occasionally. Rubber dryer balls should be thrown in with down and fiberfill pillows. For memory foam, you’ll want to follow different steps. The foam itself isn’t machine-friendly, but many of the pillows on this list have removable covers that can be put in the wash. The folks at Good Housekeeping add that you can tumble a memory foam pillow in the dryer “on the no heat or air-only cycle for 20 minutes.” To treat stains, dip a cloth in a solution of mild, sudsy soap and apply it to the stain. What kind of pillow do back sleepers need? On your back is the “best” position for sleep. 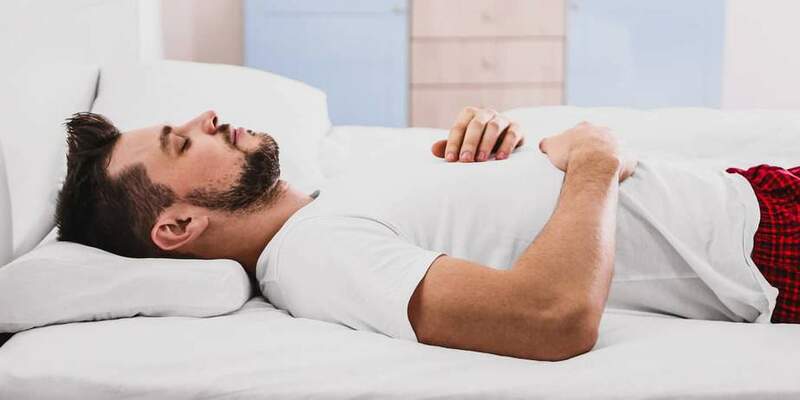 “By far the healthiest option for most people, sleeping on your back allows your head, neck, and spine to rest in a neutral position,” The National Sleeping Foundation reported. “This means that there’s no extra pressure on those areas, so you’re less likely to experience pain. Sleeping facing the ceiling is also ideal for warding off acid reflux.” But the foundation further reported that it’s important for the stomach “to be below your esophagus” so your digestive tract doesn’t send back upchuck! To avoid that problem, the foundation suggested “a pillow that elevates and supports your head enough.” This means you want a pillow of a higher loft. When opting for memory foam, make sure to go for quality. A premier brand will stay just the right firmness, while a weaker foam may collapse under the pressure. The foundation also reports that only 8% of people are back sleepers. This can explain why most pillows on the market advertise to side sleepers and “fetal position” dozers, who make up 56% of sleepers together. Pillows with high contours especially target these 2 positions, but those popular ridges may be uncomfortable for a back sleeper. We’ve aggregated data from credible review sites across the Internet, then dived even further. (More on that in our methodology section up above.) When looking for a pillow that best accommodates the back sleeping position, heed this advice from an orthopedic surgeon: “You want a pillow that’s a little firmer so the head’s not going back too far,” Rocco Monto, MD told Health magazine in 2018. 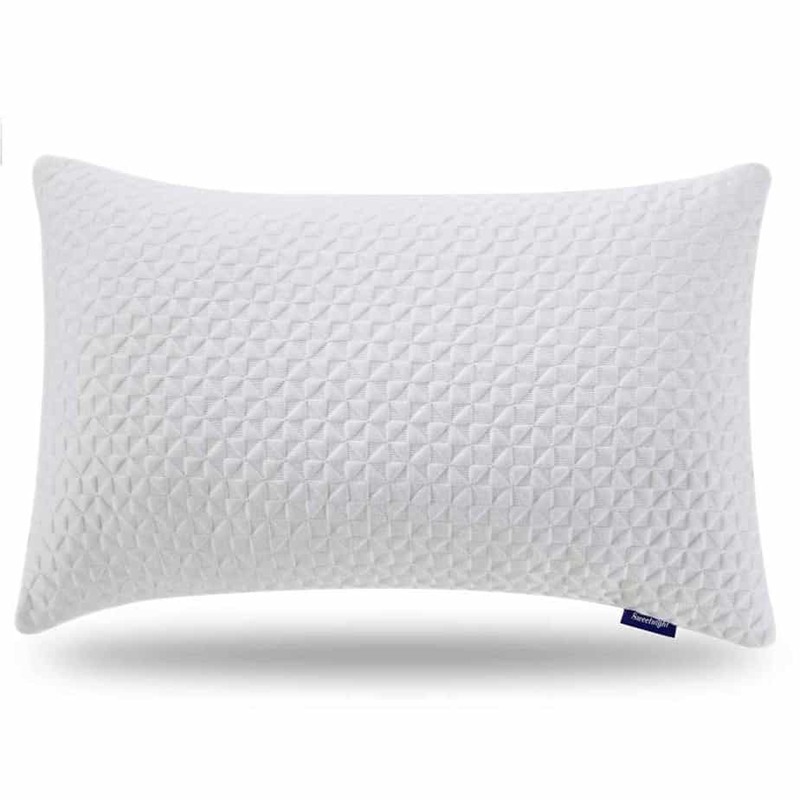 “It’s got to contour a little bit better and take on the shape underneath your neck.” This makes a memory foam pillow preferable over a traditionally stuffed one. 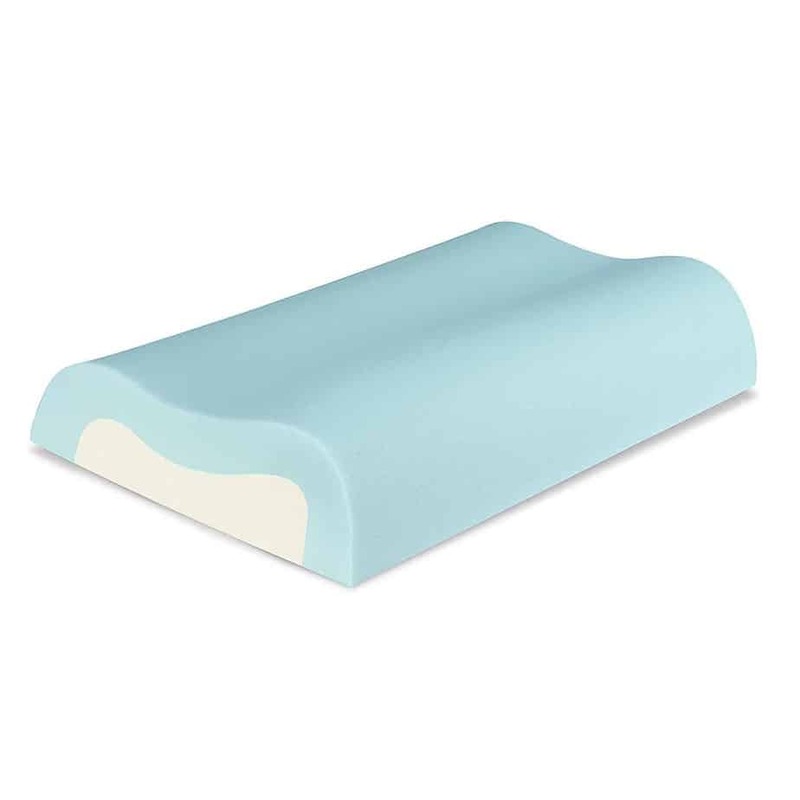 A memory foam pillow is firmer, and is often designed with high wedges and contours. While it may sound uncomfortable to sleep at a steeper incline, quality foam that will mold to your shape takes away that problem. Even better, look for a pillow that’s adjustable. Several of the pillows in our ranking have removable fill, meaning you can add and remove fill until the pillow reaches the perfect loft. Here are the main takeaways: You need a pillow firm enough to hold up your head and neck, which you’ll find in a pillow with contours or with adjustable fill. Usually, these are features that come with a memory foam pillow. Nest Bedding: We ranked this as the “Best Mattress Brand” in our mattress review. The company labels itself as “affordable luxury” — what can beat that? With products made of organic materials, it’s also an eco-friendly choice. Amerisleep AS3: We rated this as the best choice for a cheap mattress. A twin is $1,099, and a California King is $1,699.